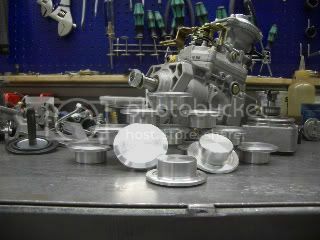 New Product: 1.6TD Overboost Protection Eliminator - Vendors Section - VWDiesel.net The IDI, TDI, and mTDI source. 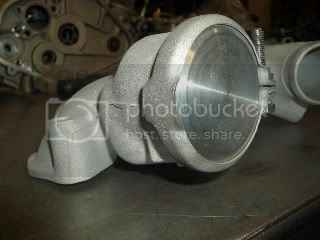 We've had a local Canadian machine shop design and build some Overboost Protection Eliminators. These will allow you to delete the factory overboost protection valve. They have been designed to use the factory clamp so no extra hardware is required. A new o-ring is included. We've matched the angles of the stock piece to allow the clamp to provide a complete seal. You will need to block off the port in the intake hose if you are using the stock intake. They are $40 CAD. Canadians add $10 for shipping. Americans add $15 for shipping. For international orders please call or email. that pump looks like a jeep, rock crawling on the rubicon trail! I repair, maintain and modify VW's and BMW's. Good work done at affordable rates. Welding and fabricating, too. Performance Diesel Injection's Super Pump: gotta have one! Your car is powered by an ENGINE, not a MOTOR. Then why do they Call it MOTOR OIL? Sorry To thread hijack, great product!! would deffenitly buy, if i already didnt have a Passenger Performance 3in. Intake. which is the sh*t!!! I also love the pump head and LDA diaphragm just chillin in the picture. I kid. Really good idea Giles. I'd be on this if it were suitable for my build. Why not just weld up the hole on the intake. How does this work and why do I need one? The manifold has a built in 12psi popper valve. So you block the waste gate to get more boost ? the manifold will bleed the pressure in case of waste gate failure. Thanks, It looked like it was the 90 deg elbow on the intake with a plug in it and that didn't make any sense. My car will pull a max of 9 now. I have thought about making a manual waste gate controller to go higher. Might I just forgo the waste gate and just use the pop off valve as a relief valve? Almost every aspect of this car has been so reliable that I have never really looked at much of it. I keep an eye on the boost gauge anyway. More than likely you have a T3 or a k24 on there, and you should be alright to 15psi non-intercooled. I think I had figured it out once before but don't remember off hand. It is the stock unit with the metal waste gate line. Drove the car for the first time in more than a month. It was sitting down in 3" of ice. Once free I was reminded why I like driving this car. Think I will order one as soon as I sell my new Sytech at ebay Ralf. Those look to be the bomb. Your friend does excellent work. Whats the shipping to the US?? ?